Keywords: ADHD, inclusion, learning, teaching, ICT, learning theory, collaborative learning, Design-based Research, Osmotic Model, cooperative learning, Persuasive technology, captology, mobile technology, didactics, communication, participation, learning themes, learning strategies, learning heuristics, social constructivism. 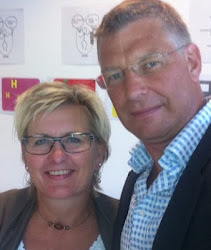 Authors: Hanne Voldborg Andersen og Henrik Grum, MIL, Aalborg University, 2011. Children with special educational needs, including children with ADHD (Attention Deficit Hyperactive Disorder), should be included to a greater extent in primary and secondary educational normal teaching environments. The integration of children with ADHD in normal classes is made difficult by their reduced attention ability, disturbing hyperactive behavior and over impulsiveness. The authors develop universal hypotheses for learning, which are combined with background theories on ADHD and a qualitative case study in a Danish secondary school, to develop fundamental learning heuristics for children with ADHD. The heuristics are used in the development of a conceptual mobile teaching aid, which builds on the principles of Cooperative Learning and Persuasive Technology using the Osmotic Model in Design-based Research as methodological tool. The conclusion is, that a mobile technological artifact combined with a conceptual didactic design can create the possibility of inclusion, participation and learning for children with ADHD. Elever fra det specialpædagogiske område, herunder børn med ADHD (Attention Deficit Hyperactive Disorder) skal i stigende grad inkluderes i folkeskolens almindelige undervisning. Børn med ADHD har manglende opmærksomhed, forstyrrende hyperaktiv adfærd og er impulsive, hvilket vanskeliggør en inklusion af barnet uden understøttende foranstaltninger. Et studie af diagnosen ADHD, den menneskelige læring samt teknologiske løsninger iværksættes i håbet om at udvikle metoder for inklusion af børn med ADHD. Der udvikles universelle teser for læring, som efterfølgende med baggrund i teori om ADHD og i et kvalitativt casestudie i en dansk folkeskole skaber grundlæggende læringsheuristikker for børn med ADHD. Heuristikkerne anvendes til udvikling af et konceptuelt mobilt læringsdesign, der bygger på principper fra Cooperative Learning og Persuasive Technology. Metodisk anvendes den Osmotiske Model i Design-based Research. Det konkluderes, at et mobilt teknologisk artefakt med tilhørende didaktisk koncept skaber mulighed for inklusion, deltagelse og læring for børn med ADHD.